Excellent all-purpose plum. 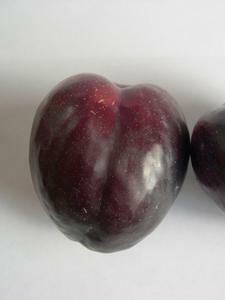 Fruit is of medium size, with purple black skin and dark red sweet, juicy flesh. Vigorous, up right tree habit. A Cross variety. Mid-season. Self-fertile but better when planted with Billington, Duff‘s Early Jewel, Elephant Heart or Santa Rosa.